The picturesque scenery, the mile and a half walk to the start, the undulating ground, the narrow gates, and the bottleneck at the start all serve to make the Black Knight Charge one of the more unique races on the calendar. 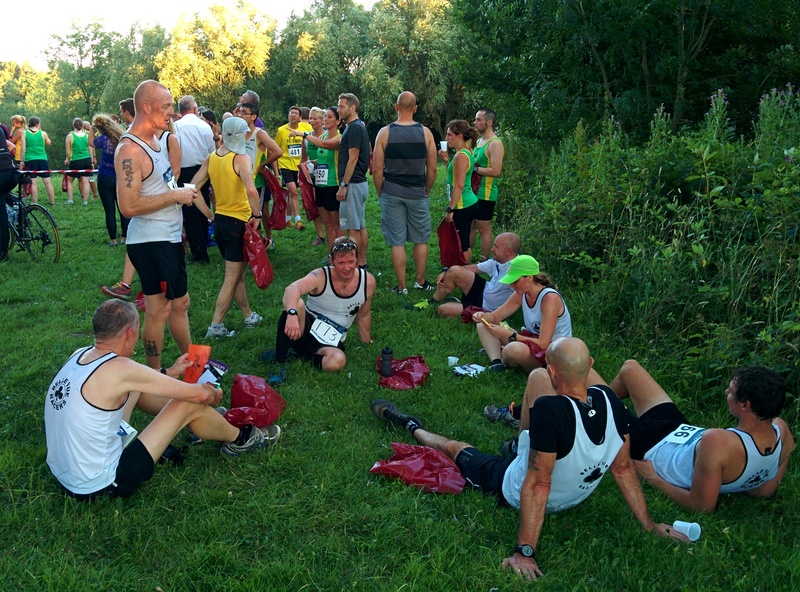 The addition of a chocolate bar and hot pot supper for the runners was a great encouragement to getting up those hills. 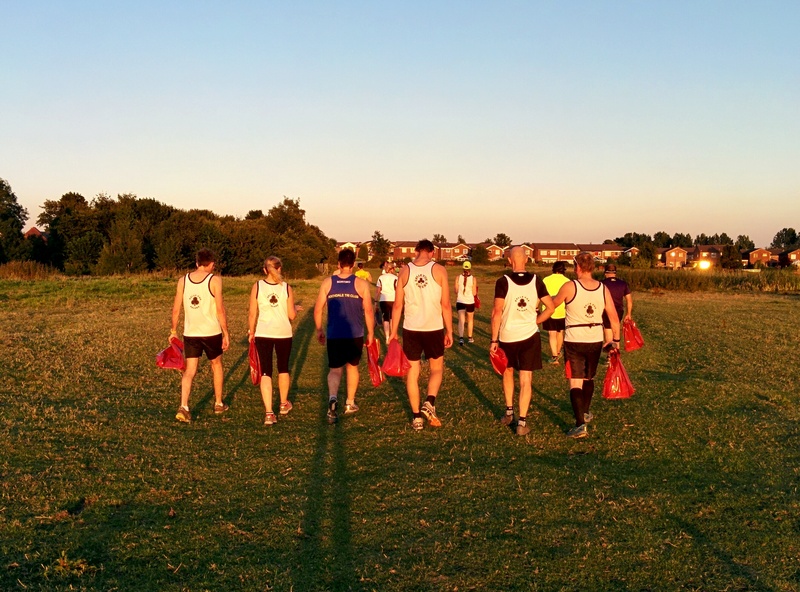 The temperature was high and the sun was bright as 13 members of Belle Vue Racers completed the race. The steep hill, as written on the route map, turned out to be just that, including some steps which brought many people to a walking pace. A dark and low ceilinged tunnel kept the runners’ attention and the overgrown paths and steep twisty sections made for a great challenge. After six miles of hard graft, Greg Barber (43:21) was to be first Belle Vue Racer home followed by Simon Stead (44:28). First Belle Vue woman was Toni Bradley (54:06) followed by Janet Shepherd (56:02). Extra credit to Janet and Steve Mycio (51:18) who both came second in their age categories. Well done also to the first four boys – Greg, Simon, Andrew Taylor (46:16) and Jason Stott (46:42) – for securing a third-place team spot.